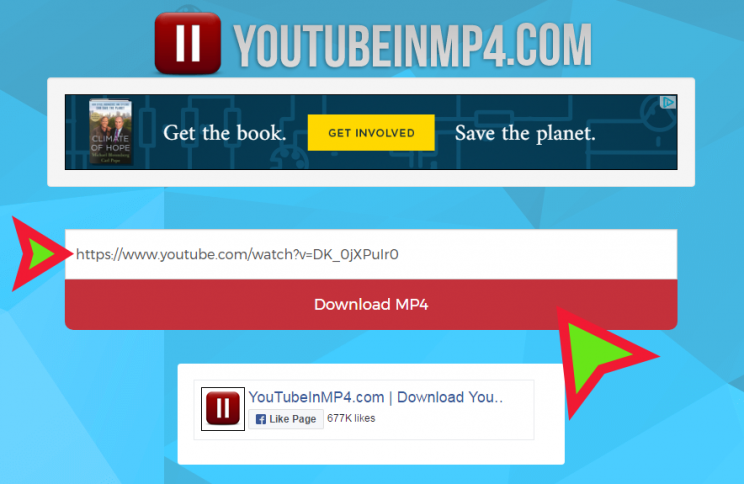 So yeah, as expected, after discovering that youtubeInMP3.com is now ConvertMP3.io, obviously i went to check their video friend – youtubeInMP4.com. And of course now that one answers under new name – ConvertInMP4.com. It’s same creator(s), so as i was correct – they seem to be pushing away from all the youtube business and try to pretend more like a legitimate video conversion website, which many others are also doing, after gaining some traffic and popularity (that’s when problems begin to arise as well). In any case, here’s what’s going to be seen, and below is the “proof” that both buttons were pressed and both yielded an mp3 file that was being downloaded by Chrome. The second group of 2 buttons below that say Download MP3 and More Formats will redirect you to 2 other sites ran by same owner, so be careful. One is the youtubeinmp3 we’ve talked about before. and another will send to a “global” download any video and/or audio site. I will discuss that site later. youtubeinmp4 download hd video step 2.
the download was really fast. but it’s never thanks to the site, it’s always thanks to youtube, pushing its date everywhere it can fit. But, if you are careful enough to avoid ads, and vigilant enough to close new tabs in time before they activate some stupid browser takeover mechanism and try to annoy you to death… Well, if you are – then it’s piece a cake and any video download can be started in less than a minute. Try it out and see how it works for you..
check out this fast video tutorial, only 1 minute long. which means anyone can download any video in just 1 minute. Again this was made with Yandex browser, which stopped some of the ads from showing or popups from popping up. Hence it was easier than with the step-by-step tutorial above that i’ve done using Google Chrome (without any ad-blockers). 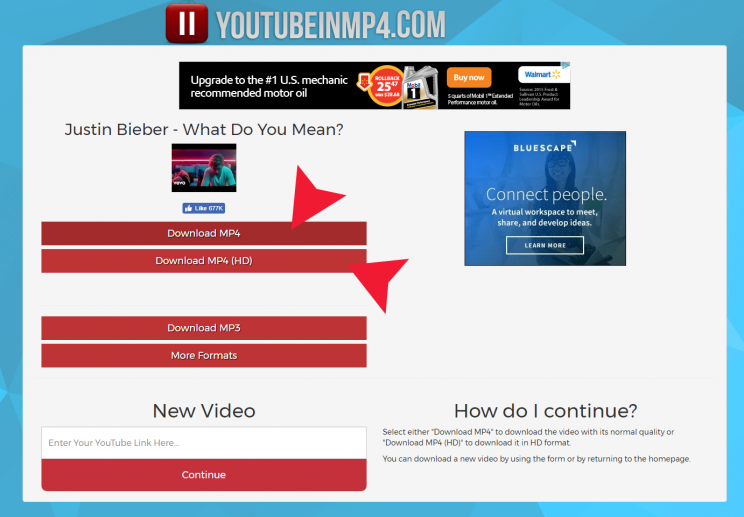 As was the case with YoutubeInMp3 (mp3 converter) – I do not recommend using this service. they deal with nasty popup ads, which can be sometimes very annoying, if not dangerous. some of those can try and overtake your browser, so they only way is to close it and open again. Maybe adblockers could help, but then again, do not use adblockers, friends.. Some of us count on that revenue from the ads. it’s never anything big, maybe hundred bucks in a few months, but it’s something… It’s valuation of our work, the blogging… Therefore it’s not good to have adblocks, cause it may turn down some opportunities for advertisers, even if you never click anything..
Anyways, if you have to use this service, – be very careful, even vigilant. Ads can cause some unpleasant times.. If you are in doubt, i will recommend 2 other services for audio and video downloading and converting. Try ad-free SaveFrom.Net or light-on-the-ads Off Liberty. 2 great services to choose from.